Morriones There are 4 products. 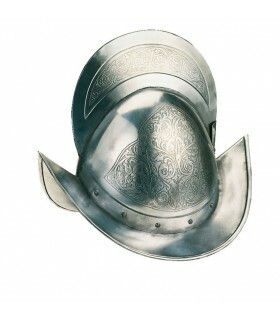 Medieval helmet Rodrigo 16th century with wings for protection of the ears. It has an inner lining made of foam and covered in cotton. 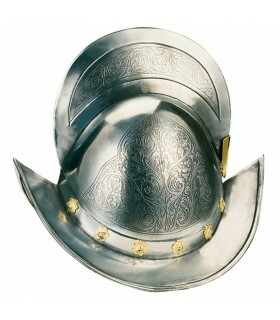 Cap Conquistador with acid etched decorations and golden. 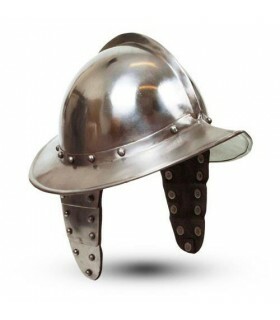 It is an excellent Cap Conquistador of the Exclusive Collection of 'Caps Historic'. Includes the certificate of Origin and Quality 'Made in Toledo'. 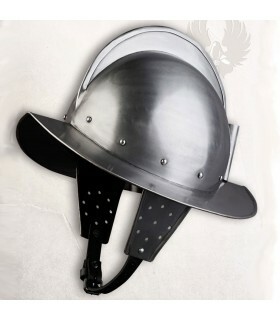 Hand-made, one-to-one, by master craftsmen from Marto.